Be the first to share your favorite memory, photo or story of Debra. This memorial page is dedicated for family, friends and future generations to celebrate the life of their loved one. 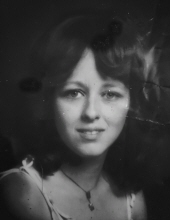 Debra Anne Rosson, 59, of Cherryvale, Kansas passed away Wednesday, November 21, 2018 at home after a brief illness. Debra was born September 21, 1959 in Coffeyville, Kansas to Beatrice Faye Purkey and Elmer Wayne Reed. She was adopted at age of 2 by Cleo Rosson. Debra grew up in the South Coffeyville, Oklahoma area and attended grade school at Thompson School House until its closure, then she finished elementary at South Coffeyville School. She attended high school in Lenapah, Oklahoma graduating in 1977. In July of 1978 Debra married Daniel Dwayne Vail of Mound Valley, Kansas and they were later divorced. Debra worked several jobs before earning her LPN license in May of 1988. She was working at Chetopa Manor in Chetopa, Kansas at the time of her retirement. She loved her 4-legged companion of 15 years, Maggie. She also enjoyed crocheting, drawing, reading and crafting. She especially loved spending time with her grandchildren. She is survived by her daughter, Brooka Martin and her husband Darrell of Coffeyville, Kansas, son, Kyle Rosson and his wife Amanda of Cherryvale, Kansas, eight grandchildren, Kailynn Thomsen, Kaiden Thomsen, Daniel Martin all of Coffeyville, Kansas, Eathan Rosson, Sadie Rosson both of South Coffeyville, Oklahoma, Chloe Rosson of Caney, Kansas, Lauren Clark and Cannon Clark of Georgia. Parents, Cleo and Bea Rosson of South Coffeyville, Oklahoma, stepmother, Nettie Reed of Brownsville, Oregon. Five sisters, Teresa Bourne of Tulsa, Oklahoma, Judy Ekhoff and her husband Jim of South Coffeyville, Oklahoma, Susan Smith and her husband Greg of Oregon City, Oregon, Julie Reed of Brownsville, Oregon, Joyce Nelsen and her husband Lanny of Halsey, Oregon, two brothers, Monty Rosson and his wife Mary of Winchester, Kentucky, Dale Reed and his wife Patti of Harrisburg, Oregon, several aunts, uncles, nieces nephews and a variety of extended family and friends. She was preceded in death by her father Elmer Wayne Reed. Per her wishes cremation has taken place and no services will be held. Family will receive visitors at the home Saturday, November 24, 2018 after 3:00 P.M.
To send flowers or a remembrance gift to the family of Debra A. Rosson, please visit our Tribute Store. "Email Address" would like to share the life celebration of Debra A. Rosson. Click on the "link" to go to share a favorite memory or leave a condolence message for the family.